Top, Cardigan, and Belt: Anthropologie. Skirt: J Crew. Shoes: Fiel. Bag: Kate Spade (thanks Mom!). Sunglasses: Gap. Bracelets: via Thailand, via Oman, Forever 21. Watch: Breil (c/o). Necklace: via Thailand. Well hello there! I have been down and out with a terrible cold the past week and I just can’t seem to kick it, so I have basically spent the past several days in a DayQuil haze. Not fun and not exactly what I had planned, but enough whining… How about these snails, eh? 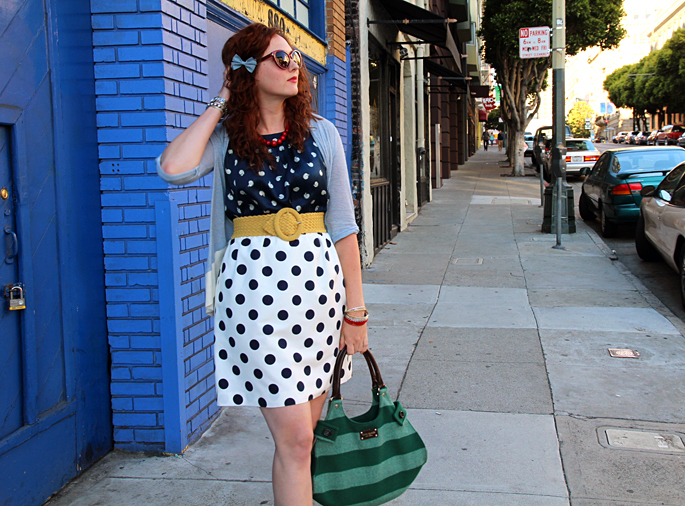 adore this combination of polka dots. It’s so cheerful and fun! Oh, no. I hope you feel better. 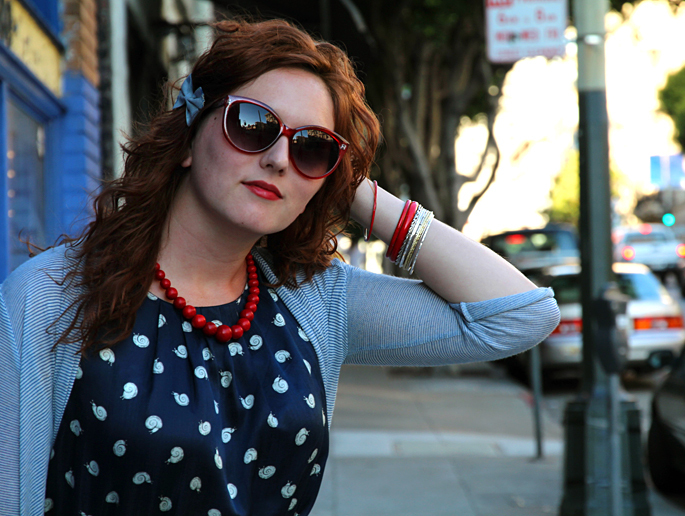 And I love that it looks like you’re wearing double polka dots until you get close; so cute! 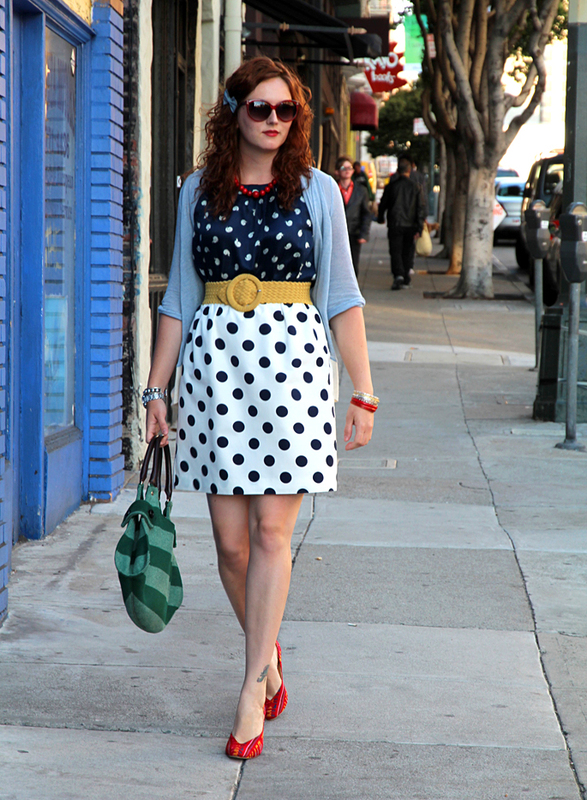 Love the mix of polka dots!!! You’re so fancy! Aww sorry to hear you aren’t feeling well girl! You look absolutely fabulous though! The snail print is so fun and I love the mixed prints and colors here! Don’t forget to enter my Birchbox giveaway! !